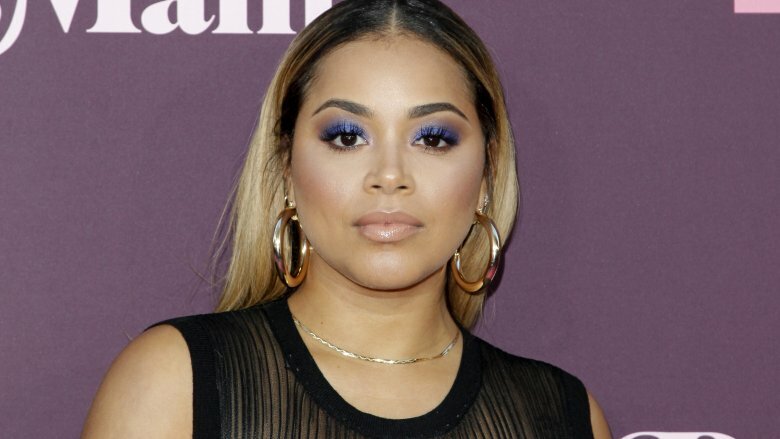 Lauren London was thrust into the spotlight when her longtime partner, Grammy-nominated artist Nipsey Hussle, was murdered in March 2019. The man accused of shooting the rapper has pleaded not guilty to murder, and through the ordeal, London has been doing her best to stay strong. In a heartbreaking Instagram post, she revealed what life has felt like without her partner, with whom she shares a son. "I am completely lost. I've lost my best friend, my sanctuary, my protector, my soul … I'm lost without you. We are lost without you babe. I have no words." The note is a rare glimpse inside London's notoriously private life. The actress has gone to great lengths to keep her personal life, well, personal. This includes hiding an entire pregnancy and photos of her firstborn for a whopping seven years and staying mum about an engagement to a rap superstar. Not many celebs can achieve that level of privacy in the age of social media. 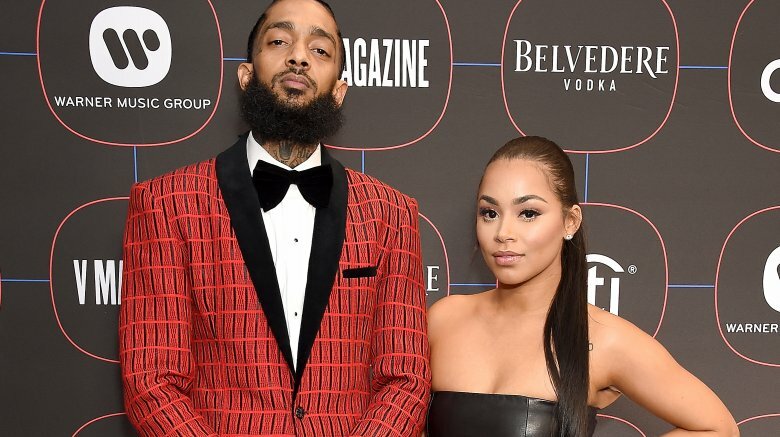 From her breakout role in ATL to her Instagram DMs, here are some things you might not know about the woman who was Nipsey Hussle's girlfriend. Tattoos are forever — and forever feels like a really, really long time when you're walking around with an ex's name on your body. It's probably safe to say that no one should ever get their boyfriend's name tattooed anywhere remotely visible (let alone your teenage boyfriend's name), but alas, we are only human. Some of us haven't learned from Johnny Depp's infamous Winona Ryder/Wino Forever tattoo or, more recently, his Amber Heard Slim/Scum cover-up. London happens to be part of the regrettable, ex-lover ink club. The ATL star admitted (via Entity Magazine) that she inked her boyfriend's name on her body when she was a teenager. If she could take it back, it sounds like she would. "I was 16 and got my boyfriend's name tattooed on me. Don't do it. 'Cause it hurts," she said. "The moment you do it, the next month, the next year, you'll be broken up –- trust me –- and cover-ups hurt. You can show your love in other ways. Ink is not it. Write it on a piece of paper and mail it to him." Sliding into someone's DMs is the hallmark of modern love (beyond swiping right on Tinder). It shouldn't be surprising that one of hip hop's biggest power couples met the not-so-old-fashioned way. Lauren London and Nipsey Hussle's relationship was truly a modern fairy tale born out of mixtapes and Instagram. The truth is that the pair's longtime love might have never happened if it wasn't for Hussle's $100 mixtape. According to a profile in GQ, the ATL actress was looking to buy some of the rapper's rare mixtapes as gifts for her co-stars on The Game in 2013. Only 1,000 copies were ever made, and Jay-Z personally owned about 100 of them. In other words, the stuff was like hip hop gold. Once the starlet managed to finally get her hands on some of the music, she started following Hussle on Instagram. Hussle followed her back and promptly slid into her DMs. The rest is history. "Our stories are very different," London told GQ. "I did not slide into his DMs. My homeboy did…"
It's not easy filling Faith Evans' stilettos. The platinum-selling recording artist is a cultural icon whose love life made it to the big screen in 2009 with Notorious. 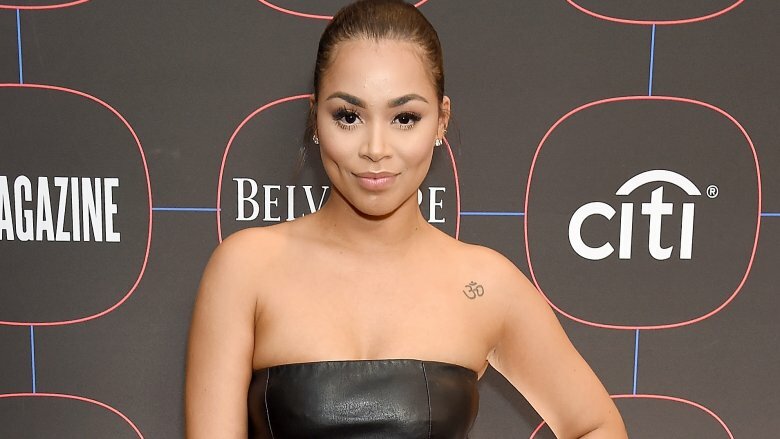 Fans know that Antonique Smith of Rent landed the coveted gig, but at one point, Lauren London was up for the part. In an interview with GQ, she revealed that things got pretty serious during the auditions, and she even met P. Diddy and Evans. This wasn't her first rodeo working around rappers (the actress starred alongside T.I. in her breakout role), but unfortunately, things didn't pan out this time. "It just came down that the director didn't believe me as Faith," London said. Lauren London and Nipsey Hussle's romance endured more than five years, which is pretty much a lifetime in Hollywood. Though the pair was fielding engagement rumors in 2019, that doesn't mean the couple never fell on hard times. The superstars briefly went their separate ways about a year after London gave birth to their son. According to XXL, breakup rumors hit headlines in 2016 after T.I. accidentally let it slip that the pair was expecting a child. The rapper was quick to shut it down, but by 2017, it looked like London and Hussle were having trouble for real. "[Lauren London] and I had a dope relationship and made a beautiful child. We are deciding to separate and raise our son together as the main priority," he wrote wrote on Twitter (via XXL). "This was a mutual choice, and we will function with each other as family [with] love and respect." 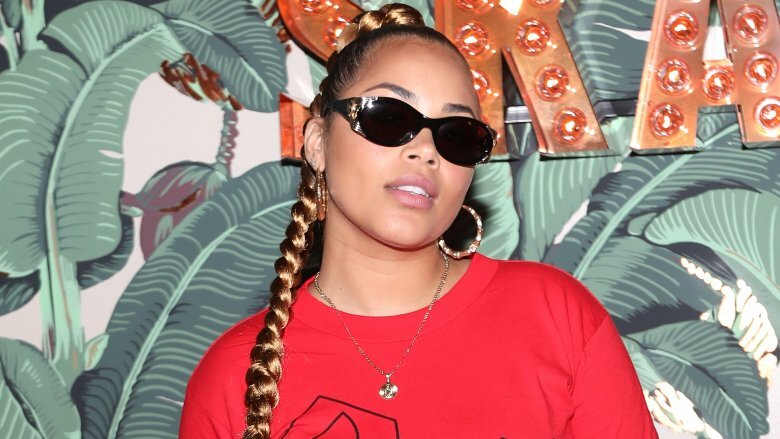 Since 2013, Lauren London has been making a name for herself as Nipsey Hussle's TV star girlfriend, but this wasn't the first rapper the actress called her beau. 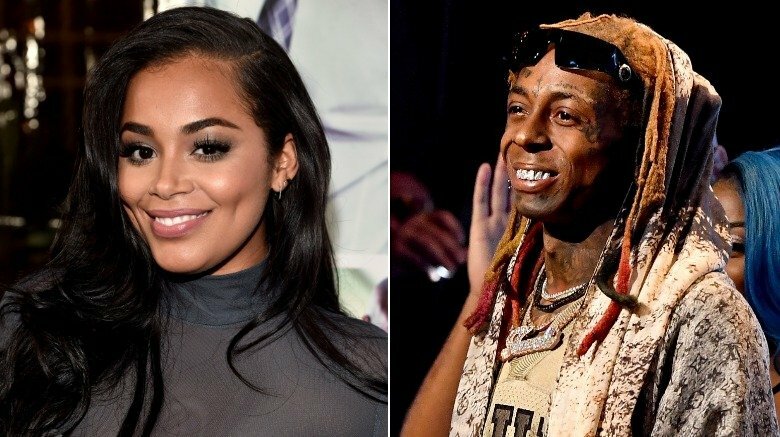 Bossip reported rumors that London was engaged to Lil' Wayne (real name Dwayne Michael Carter, Jr.) in 2007, but she didn't confirm that intel until years later during an interview with Skin Deep author Kathleen Cross (via Essence). "We were in a relationship that didn't make it. We tried more than once to revive it, and we were engaged briefly years ago, but we eventually parted ways," London said. The actress reportedly first met Lil' Wayne when she was 15 years old — and contrary to popular belief, they did not have a one night stand. The pair did have a child but worked hard to protect him from the public eye. According to iHeartRadio, the first public photos of Cameron Carter were shared in 2016 when the celebri-spawn was already 7 years old (i.e. old enough to catch an NBA game with his pops). If he's not the spitting image of Weezy, we don't even know what to say. Lauren London seems completely at ease in front of the cameras, but that might just mean she's a really great actress. The starlet tends to shy away from fame in her personal life and is still getting used to being in the spotlight outside of work. In an interview with author Kathleen Cross (via Z107.9), the star revealed that she's struggling with fame. London first got into acting because she was an only child who spent a lot of time alone and used movies to keep herself company. She had absolutely no desire to become a genuine celebrity, though she admits she occasionally relishes in the special attention. "I can't remember a time when I didn't want to be an actor," she said. "It's crazy though because I'm such a private person. I was never interested in becoming famous. I still struggle with that aspect of my work." Thankfully, London revealed that she's not the type of celeb who gets hounded by the paparazzi every day, though she does occasionally get recognized. Lauren London's fiery portrayal of New New in the coming of age flick ATL is largely considered the star's breakout role, but landing the part was no easy feat. Prior to nabbing the gig alongside rapper T.I., London had only two semi-notable acting jobs on her résumé: a cameo in a 2006 episode of Everybody Hates Chris and an uncredited part in a Pharrell Williams and Jay-Z music video. According to BET, the actress didn't even have an agent when she tried out for ATL. She landed the part after a whopping five auditions! It was clearly worth the work because that role kick-started her entire career. "Before ATL, people didn't know about me," she told Vibe Vixen in 2013. "I auditioned for ATL and no one cared who I was. I was a regular girl in L.A. who auditioned and got the role. No one knew I was doing it, and I did it. No one gave me that. I did that." 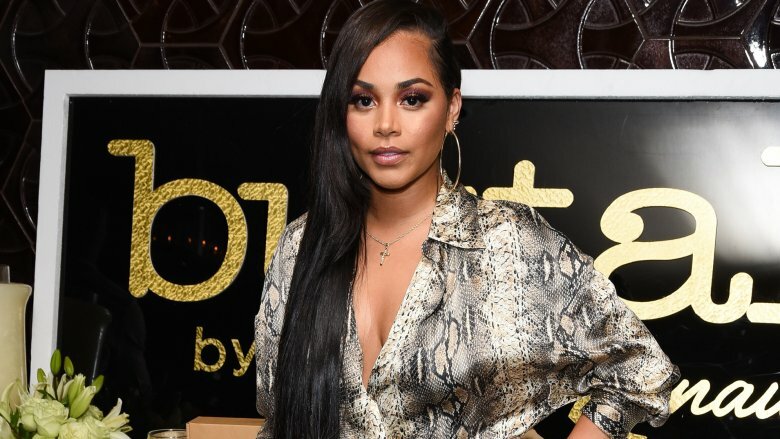 There aren't too many of us who'd go into a major magazine shoot without hitting the gym, but for Lauren London, confidence appears to be an endless resource. The starlet has an undeniably fit body that she can't contribute to any physically demanding work (i.e. the girl hasn't seen the inside of a Planet Fitness in a long time). Why? She says she doesn't have time. Seriously, how many mamas can relate? In an interview with Hollywood Life, London admitted she got ready for a GQ spread with Nipsey Hussle by adopting a healthy diet rather than ramping up the cardio. "GQ reached out to us, me and Nip, and wanted to do the power couple segment, and we were both for it and I just drank a lot of water and ate a lot of fruit and vegetables!" she said. "I don't have time to workout at all, so I just made sure that the foods that I took into my body were live, healthy foods that worked with my body, not against it." Most of us don't picture the average celebrity doing regular ol' mom things. Could you really imagine Victoria Beckham dropping her kids off for soccer practice in a Honda Odyssey and mixing spoonfuls of bee pollen into her bake sale cupcakes? Do the Beckhams even eat carbs? Has Brooklyn ever tried the sweet nectar of powdered macaroni and cheese? London, on the other hand, doesn't appear to get too caught up in that Hollywood mama scene. The starlet does a lot to maintain a normal life for her two children in between her high-profile acting gigs. She even rewards them with staycations and vacations at the end of each project for being patient while she's busy bringing home the bacon. She told Hollywood Life that she's "full on hands on" during her days off. "I make lunches, I take [my kids] to school, I pick them up, I take them to birthdays, so my days off aren't even dedicated to me, they're dedicated to them." 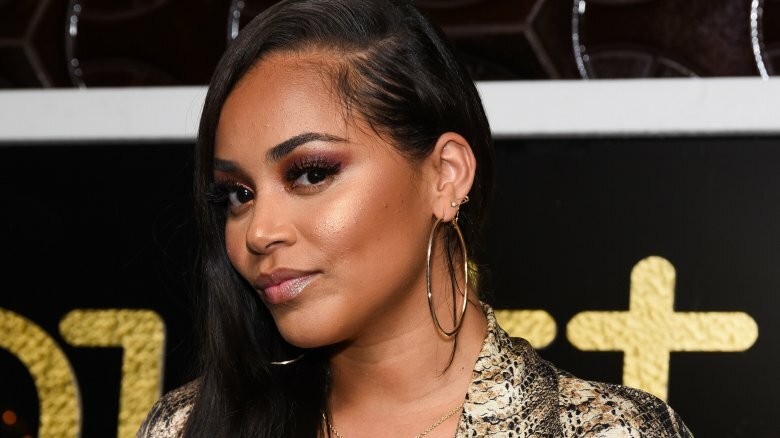 Lauren London is notoriously private when it comes to her personal life — so much so that no one knew she was pregnant with Nipsey Hussle's child until she announced she'd given birth. You read that right: London managed to hide an entire pregnancy, according to VH1. Let's not forget this is the woman who managed to keep her first son, Cameron, away from the spotlight for seven years! London finally revealed she had given birth to Hussle's son in an adorable 2016 Instagram post, but we didn't find out what she truly gave up to be a mama the second time around until much later. In an interview with GQ, Hussle revealed that London was "handpicked by John Singleton" to star in Snowfall. She shot the show's pilot, but when she got pregnant, London gave up the gig. "It was the toughest decision of my career by far," she told GQ, adding, "Do I choose my soul or myself? I went with my soul." Were London and Trey Songz actually an item? 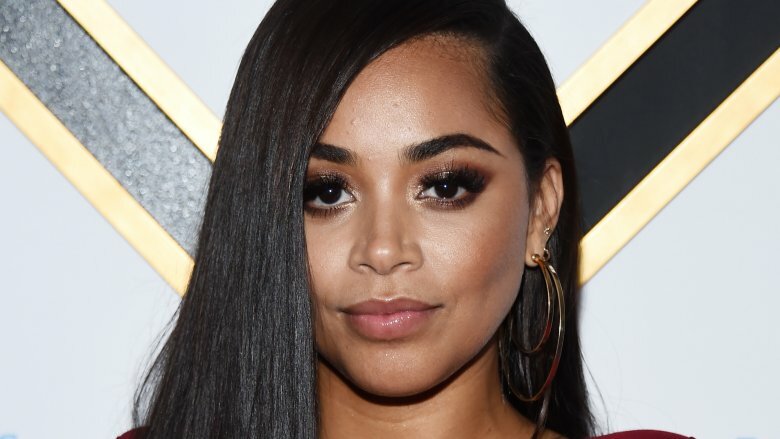 Before Lauren London fell for Nipsey Hussle, the actress was linked to "Can't Help but Wait" singer Trey Songz — the weird part was that neither party could seem to get their story straight on what actually went down. In an interview with The Q Side internet show, London shut down rumors that her and Songz were ever an item. She said they merely "took a picture together," and he was a "great guy." Songz sang a different tune, telling 106 KMEL (via The YBF) that he and London did a lot more together than just pose for a picture. "Lauren London is a very important person to me, I love her to death. Is she my woman? No. We are great friends, and we have been lovers before," he said. Songz also revealed on Power 105.1's The Breakfast Club (via Bossip) that London was one of the two girls he's ever been in love with to date. Is she the one that got away?